Legging Outfits for Plus Size Girls. Wearing the right thing at a right time is a key to look fabulous.People size you up in less than thirty seconds of your meeting them and your clothes have a lot to do with how others perceive you. Specially if your body shape demands some extra specifications. Wearing Leggings for school, work or any other recreational event is as important as wearing leggings for a wedding or some formal event. Leggings keep you cool and comfortable. You feel feminine along with the fact that your legs are protected. The body size of a woman has a lot to do when she chooses an outfit to wear. If a plus size demands some extra care and style that’s for good. When it comes to wearing leggings if you are plus size then the following considerations must be taken into account. When you choose a fabric for your leggings be sure that its light, not something too sheer of course. For Example: Printed leggings give the on looker a heavy look along with the fact that you are already plus size so try to wear monochrome leggings. When you are at home you need to be comfortable with your dress so your leggings waist-band should be high enough that when you move around your house it remains in place and you carry out your daily tasks comfortably. Your leggings must be of perfect length. you must not tug it into your boots or must not need to fold it. Because that won’t look stylish. you must know how to look stylish with your comfort. You must choose a perfect top to wear with leggings. If you are plus size my advice is that you must wear a short top, not a full-length one. You must choose something that makes you look younger. But if you are forty plus try to wear leggings with long shirts may be a sweater, tunic or jacket. Something long enough to cover your bottom. It’s a more sophisticated look and appropriate at forty plus then showing off your back side. Leggings is a right choice to wear in winters or in cooler weather.They are thicker than tights so they are nice and warm and give good coverage for your legs. 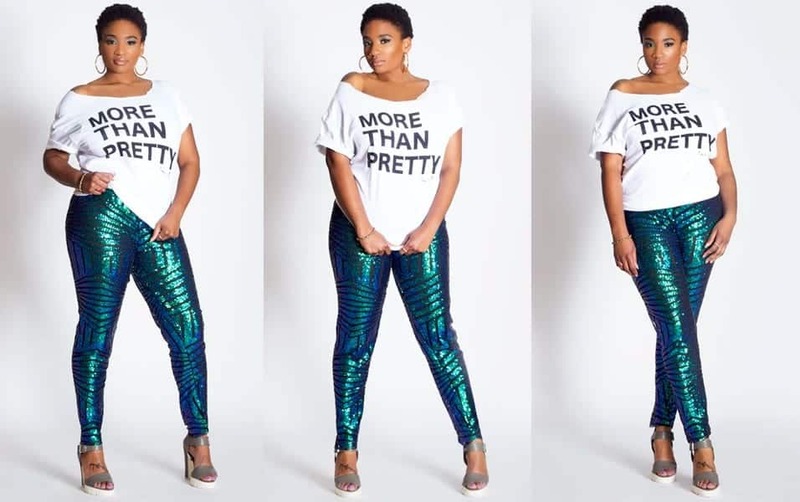 Here are some great ways to wear leggings for plus size ladies. People think that there is no room for leggings at workplace unless you are a yoga instructor or choreographer.But right kind of stuff like your long top or stylish accessories can enhance the chance of your wearing leggings at work. Because of its casual look, it might not suit the conference room or board of directors meeting but somehow you can manage it in a way that your boss won’t find annoying. Your leggings must be covered with a cardigan or perfect knee length sweater to look cool, comfortable and beautiful. you can wear like boots and put a blazer on top to give your dress a formal look. What to wear at the wedding? Sometimes it is a very pivotal question if you want to conquer the evening. Leggings seem to be a good choice. It will not only make you feel comfortable and confident with your outfit, it can also give you a stylish look if worn perfectly. I think the color of your leggings with a perfect combination of the top can enhance the beauty. Wear a tunic or a dress as a top with the leggings. I would suggest dark colors like vintage, black, navy but not orange or yellow of course. The color of your leggings will add grace to your personality and minimize the casual look. The top must be of simple chiffon fabric and you can also wear a jacket. If it is indoors, your chiffon top with golden or may be silver embroidery will look fabulous and if you are at an outdoor wedding you can put on your jacket. To wear leggings at school seems to be a good choice. I remember wearing skin leggings under my little red skirt to school. The skirt not only covers your back side but also add to your comfort especially if you tie a belt to hide your belly button. Because of strict codes of school and social norms students are not allowed to experiment with their style. Leggings seem perfect because they not only protects but also compliments the dress code. Add a pop of colour through one of your accessories for example a funky belt to show off your curves. You can also use the belt to give yourself some extra height by simply wearing it over a scarf or a sweater. A scarf is a great accessory to add color to your outfit and also to bring more attention to your pretty face rather than your body. Can a Man Understand a Russian Woman?